The Certified Bookkeeper Online Training Program for experienced bookkeepers leads to national certification with the American Institute of Professional Bookkeepers (AIPB). The AIPB certification is a high professional standard for bookkeepers. This program was created by the AIPB and is offered in partnership with major colleges, universities, and other accredited education providers. All textbooks are included. 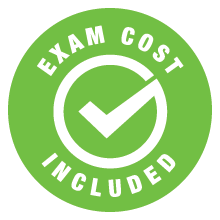 Important: Books/Materials/Exam Fees are non-refundable upon registration. Certified Bookkeepers are the elite of their profession, much like CPAs are the best in the accounting field. For bookkeepers, gaining industry-recognized certification increases your earning potential and enhances your professional status. 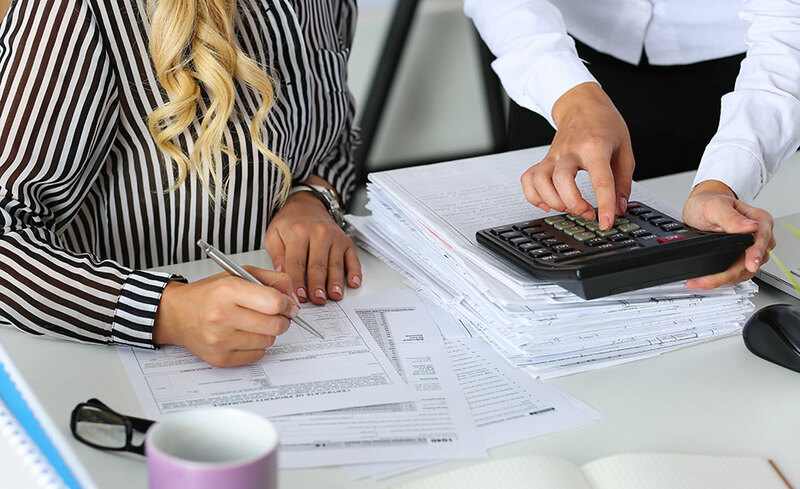 From bank reconciliation to inventory methods, this online course will prepare eligible bookkeepers for the American Institute of Professional Bookkeepers (AIPB) certification exam. Gaining AIPB certification is the highest standard in the profession, so this course is recommended to practicing bookkeepers with several years of experience and a working knowledge of payroll concepts, including accounting transactions and journal entries. The Certified Bookkeeper course includes a pre-paid voucher with enrollment that provides access to sit for the AIPB certification exam. Once you have successfully completed the course, you will receive detailed instructions regarding use of the exam voucher at any Prometric Test Center. Note: This is an Advanced-Level program intended for experienced Bookkeepers only. Those with Basic or Intermediate skills may find the program too challenging—our Professional Bookkeeping with QuickBooks is a more relevant alternative. This program can be taken on either a PC or a Mac; however, Microsoft Word and Excel are required and are not included in course materials that ship to you. The AIPB provides the six workbooks that are required for this program. The Certified Bookkeeper course is designed for experienced bookkeepers who want to prepare for national certification. To earn your Certified Bookkeeper designation, you must pass the AIPB certification exam and be able to submit proof of at least two years of full-time - or 3,000 hours of part-time - experience. Important: Those with Basic or Intermediate skills may find the program too challenging—our Professional Bookkeeping with QuickBooks is a more relevant alternative. Click here for a list of Frequently Asked Questions about requirements for the AIPB Certification exam. Wade Lindenberger is a CPA (inactive) with 20 years of financial, accounting, and management experience in public accounting and private industry. He is currently director of the governance, risk and compliance service line for Q5 Group, Inc, a regional professional services firm. Prior to that, Wade was director of the finance and accounting service line for the San Diego office of a global, publicly held professional services firm. Before becoming a consultant, Wade was the divisional controller for one of the leading health and fitness club chains in the world. He's also been internal audit manager and a divisional controller for a division of a Fortune 500 global energy project management company. He began his career with Coopers & Lybrand, one of the "big four" CPA firms. Wade is the author of the Certified Bookkeeper Online Training Program as well as an instructor for it. He's previously served as an instructor for programs at Coopers & Lybrand and, more recently, at the University of California at San Diego for the Extension Program. He is a member of the American Institute of Certified Bookkeepers' Advisory Board, the American Institute of CPAs, and the California Society of CPAs. Helene K. Liatsos is a consultant for small businesses, travel agencies, and home-based business startups with more than 25 years of experience. Her company Home Office Management Experts was awarded the 2004 Home-Based Business of the Year by the U.S. Small Business Administration. She is also a QuickBooks Certified Advisor and bookkeeper. She holds a Bachelor of Arts from Fairleigh Dickinson University. 1. Can I register for courses if I am an international student? Yes, ed2go courses are completely online. However, keep in mind that not all certifying bodies or industry-specific certifications are recognized internationally. Please review your country’s regulations prior to enrolling in courses that prepare for certification. 2. Does this course prepare for a certification? Yes, this online course will prepare you for the American Institute of Professional Bookkeepers (AIPB) certification exam. You will have one year (365 days) from the date of enrollment in the Certified Bookkeeper course to submit the Application for Certified Bookkeeper Designation form to The American Institute of Professional Bookkeepers. 3. When can I start this course? This course is open enrollment, so you can register and start the course whenever you are ready. Access to your course can take 24-48 business hours. 4. How long does it take to complete this course? After you register, you will receive (6) months to complete the course. The time allotted for completion has been calculated based on the number of course hours. 5. What if I don't have enough time to complete the course within the time frame provided? If you are unable to complete the course, contact your Student Advisor to help you work out a suitable completion date. Please note that an extension fee will be charged. If you are funded through a third-party organization, approval may also be required. 6. What kind of support will I receive? The course instructor will be available by email to answer any questions you may have and to provide feedback on your performance. Occasionally, your course may be supported by a team of industry experts. You will also be assigned a Student Advisor for academic support. 7. What happens when I complete the course? Upon successfully passing the final exam, you will be awarded a certificate of completion from the school or organization that you registered through. 8. Am I guaranteed a job? ed2go courses will help you gain the skills you need to obtain an entry-level position in most cases. However, you should always research the job market in your area before enrolling. 9. Can I get financial assistance? ed2go courses are non-credit, so they do not qualify for federal aid, FAFSA, and Pell Grant. In some states, vocational rehab or workforce development boards may provide funding to take our courses. Additionally, you may qualify for financial assistance if you meet certain requirements. To learn more about financial assistance, click here. 10. How can I get more information about this course? I thought that it really met the needs of a bookkeeper. I learned a lot. The course was in depth and thorough in examples which was helpful. The support from Wade my facilitator was very helpful…he was always available. I am very happy with this experience. My facilitator Wade Lindenberger was helpful to solve difficulties in timely manner. I appreciated everyone’s support. My facilitator was understanding and professional. The online course allowed me to work at my own convenience. The support I received was timely and helped me to navigate through the course. This course was very challenging and informative. My facilitator was always available to answer questions or concerns in a timely manner. Great facilitator and great support! I enjoyed the layout of the course, as well as the fact that it was move at your own pace. I had a family emergency and spent a week in the hospital but it did not affect my homework because I was able to catch right up! I was able to work at my own speed. When things came up with family or that I needed to take care of, I was able to focus on them and then get back to my course.